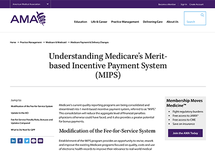 If you’re participating in the Merit-based Incentive Payment System, or MIPS, you may be familiar with the cost category, but how will the recent updates to this category impact your final score and your future Medicare payments? That’s going to be the focus of today’s discussion. Coming to you from the ReachMD studios in Fort Washington, Pennsylvania, this is Inside Medicare’s New Payment System, and I’m Dr. Matt Birnholz. Joining me to break down how we’re measured on cost under MIPS is Koryn Rubin, Assistant Director of Federal Affairs at the American Medical Association. Miss Rubin, welcome to the program. Thanks for having me again today. Great to have you with us again. So, to start, let’s get a little background on MIPS and how cost performance is involved. What can you tell us about this? Under the Merit-based Incentive Payment System, or commonly referred to as MIPS, there are 4 performance categories that affect your future Medicare payment. Each performance category is scored by itself and has a specific weight that is part of the MIPS final score. So, for the 2018 MIPS performance period, the cost category is 10% of a physician or group practice’s final score. For the 2017 transition year, the cost performance category was scored at 0 and did not count towards your total MIPS score, but in year 2 it does count for 10% of your total MIPS score. That’s great, so clearly cost performance is a big part of how a physician is scored, but what specifically are the cost measures? Cost measures show the resources clinicians use to care for patients. For 2018, MIPS uses—or CMS—cost measures that cover the total cost of care during the year or during the hospital stay. In the future and proposed to start in 2019, CMS plans to use episode-based measures to measure cost, which we believe will be a more accurate way to measure cost. To determine your cost, Medicare uses your claims data to collect Medicare payment information for the care physicians provide to beneficiaries during a specific period of time. Because CMS uses Medicare claims data, CMS will calculate the cost category score, and physicians don’t have to submit additional data. In year 2, CMS will only use 2 cost measures to measure performance, and the 2 measures are total per capita cost and Medicare spending per beneficiary. Great, and it sounds like a good opportunity to dive a little deeper into those 2 types of cost measures that you just mentioned. First, can you provide some more detail on how this total per capita cost, or TPCC, I believe, as a measure is defined? Yes, so this gets a little complex. The Total Per Capita Cost Measure has multiple steps, so let’s try and break this down. The Total Per Capita Cost Measure, or known as TPCC, takes into account all Medicare Part A and Part B costs during the MIPS performance period. So the 2018 performance period is January 1, 2018 through December 31, 2018. For the Total Per Capital Cost Measure, beneficiaries are assigned to a single Medicare taxpayer identification number, known as a TIN, and national provider identifier number, NPI, so your TIN NPI, and CMS uses a 2-step process that considers the following: The first step is the level of primary care services the patient received as measured by Medicare-allowed charges during the performance period. Then the second step is the clinician specialty that performed these services. So beneficiaries who received a primary care service during the performance period are assigned to the TIN NPI who provided the most primary care services to the patient that year. Primary care services include evaluation and management services given in the office, other non inpatient settings, nursing facilities and non emergency settings. It also includes under the definition the initial Medicare visit, the chronic care management, and wellness visit codes. It’s also important to note that if the beneficiary did not receive primary care services from any primary care physician, nurse practitioner, physician assistant or clinical nurse specialist during the performance period and received more primary care services from non primary care physicians, such as a specialist, within the TIN NPI, then in any other TIN NPI, the beneficiary is assigned to the specialist TIN NPI that provided the most primary care services. Excellent, thank you. Why don’t we turn then to the other measure, the Medicare spending per beneficiary, or MSPB? What does our audience need to know about that? Yes, so this is a little more simple to understand. The Medicare Spending Per Beneficiary Clinician Measure determines what Medicare pays for services during Medicare Spending Per Beneficiary episode, the period immediately before, during and after a patient’s hospital stay. An MSPB episode includes all Medicare Part A and Part B claims during the episode, specifically claims from 3 days before a hospital admission, known as the index admission for the episode, through 30 days after hospital discharge. The MSPB measure is assigned to individual clinicians with the plurality of charges during the admission as identified by your unique TIN NPI. The MSPB measure performance may be reported at either the clinician or the clinician group TIN depending on how the practice participants in MIPS, because you can participate in MIPS as an individual or as a group. Also, it’s not weighted by specialty like the Total Per Capita Cost Measure. Well, for those who are just tuning in, this is Inside Medicare’s New Payment System on ReachMD. I’m Dr. Matt Birnholz, and with me to discuss how physicians are measured on cost under MIPS is Koryn Rubin, Assistant Director of Federal Affairs at the American Medical Association. So, Miss Rubin, now that we’re caught up on what the cost measures are, can you explain how physicians are actually scored on them? Yes, CMS will calculate you or your group’s cost performance if the case minimum of attributed beneficiaries is met, so you must have a minimum of 20 cases attributed to you to be scored on the Total Per Capita Cost Measure. For the Medicare Spending Per Beneficiary Measure, you must have a minimum of 35 cases attributed to you. If the case minimums aren’t met for either of the 2 measures, CMS will reweight the cost performance category weight to the quality category. This would then make the quality category worth 60% of your 2018 MIPS total score. Keep in mind, the cost category is the average of the 2 measures, but if only 1 measure can be scored because you don’t have enough attributed patients, that score on the 1 measure will be the cost category score. Okay, that’s a good insight. And, Miss Rubin, I want to make sure that we cover any other insights on cost measures before we wrap up a little bit later just for anything that we haven’t talked about directly or that I haven’t asked you. What can you tell us? Yes, one thing to keep in mind is cost measures are risk adjusted to account for differences in beneficiary-level risk factors that can affect quality outcomes or medical cost regardless of the care the physician provides. The Total Per Capita Cost Measure adjusts for specialty differences, but the Medicare Spending Per Beneficiary Measure does not adjust for specialty differences. While the AMA recognizes that the risk adjustment methodology CMS is using is not ideal and does need work, it does try to address the issue and enable more accurate comparisons across TINs that treat beneficiaries of varying clinical complexity by removing differences in health and other risk factors that impact outcomes but are not under the TIN’s control. Another point I’d like to bring up is that in 2018, CMS will give you feedback on cost measures used in the 2017 MIPS transition year. 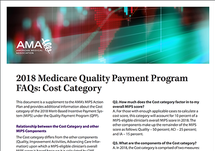 Although the cost performance category doesn’t affect your payment for the transition year for 2017, CMS will still give you performance feedback to help you get familiar with the cost measure, so it’s highly recommended that you download your 2017 MIPS feedback report from the CMS Quality Payment Program web portal, which is now available. In order to review your report though, you must have an EIDM account, so if you do not have an EIDM account, I’d recommend that you create one because you’ll need it to access anything on the CMS QPP portal. And on that note about the portals and the accounts, just for our listeners’ sake, where would you direct healthcare practitioners to check out if they want to learn more about the recent updates to these measures? So, to find more information on the cost category and the measure specifications or to create an EIDM account, go to CMS’s QPP website at QPP.CMS.gov, QPP.CMS.gov. Well, with those resources in mind as a takeaway to help physicians participate in MIPS, I’d very much like to thank my guest, Koryn Rubin, from the AMA for joining me today. Miss Rubin, it was great to have you on the program. 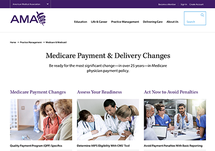 To access this interview and other related content from Inside Medicare’s New Payment System, visit ReachMD.com/AMA. I’m Dr. Matt Birnholz, as always, inviting our audience to Be Part of the Knowledge. 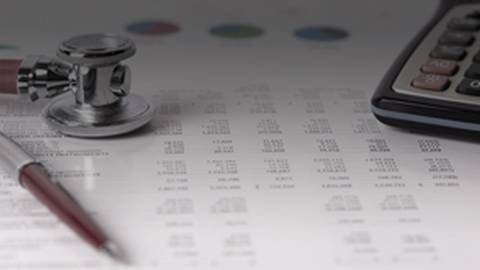 Catch up on the recent updates made to the MIPS resource category and how physicians are measured on cost. Some big changes are taking effect in one of the performance categories under MIPS. The cost category is now affecting your MIPS score differently, and here to make sure you don’t fall behind is Koryn Rubin, Assistant Director of Federal Affairs at the American Medical Association. Are We Prepared for MACRA and the Quality Payment Program? The Survey Says . . .